This week (November 21-27) in English literary history – George Eliot was born (November 22, 1819); Thomas Hardy published Far from the Madding Crowd (November 23, 1874); Roald Dahl died (November 23, 1990); Author Robert Erskine Childers was executed for his involvement in the Irish Civil War (November 24, 1922); Agatha Christie’s Mousetrap opened in London (November 25, 1952); Charles Ludwidge Dodgson AKA Lewis Carroll sends manuscript to young girl (November 26, 1862); Poet Robert Burns postponed emigration to Jamaica (November 27, 1786). On November 26, 1862, Oxford professor Charles Lutwidge Dodgson sends a handwritten manuscript called Alice&apos;s Adventures Under Ground to 10-year-old Alice Liddell. The 30-year-old Dodgson, better known by his pen name Lewis Carroll, made up the story one day on a picnic with young Alice and her two sisters, the children of one of Dodgson&apos;s colleagues. Dodgson, the son of a country parson, had been brilliant at both mathematics and wordplay since childhood, when he enjoyed making up games. However, he suffered from a severe stammer, except when he spoke with children. He had many young friends who enjoyed his fantastic stories: The Liddell children thought his tale of a girl who falls down a rabbit hole was one of his best efforts, and Alice insisted he write it down. During a visit to the Liddells, English novelist Henry Kingsley happened to notice the manuscript. After reading it, he suggested to Mrs. Liddell that it be published. Dodgson published the book at his own expense, under the name Lewis Carroll, in 1865. The story is one of the earliest children&apos;s books written simply to amuse children, not to teach them. The book&apos;s sequel, Through the Looking Glass, was published in 1871. Dodgson&apos;s other works, including a poetry collection called Phantasmagoria and Other Poems, and another children&apos;s book, Sylvia and Bruno, did not gain the same enduring popularity as the Alice books. Dodgson died on January 14, 1898 in Guildford, England and was buried at Mount Cemetery in Guildford. 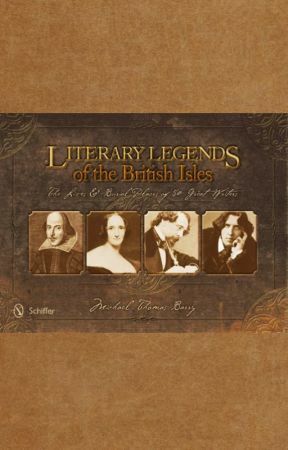 Michael Thomas Barry is the author of six nonfiction books that includes the gold medal winning Literary Legends of the British Isles and the soon to be released America’s Literary Legends. Visit Michael’s website www.michaelthomasbarry.com for more information. 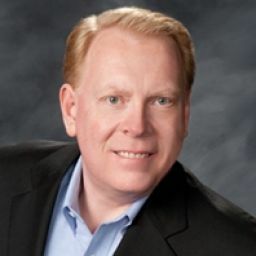 His books can be purchased from Schiffer Books, Barnes & Noble, Powell’s Books, Amazon, as well as other fine book sellers.